As physically demanding as the world of soccer can be its a rarity to come across an active 43 year old who is still playing the game like a healthy youngster – this player happens to be none other than Australian goal keeper Mark Schwarzer. Even at the age of 43 when many players have successfully settled down post retirement Schwarzer continues to play, dominate and break records irrespective of which club he has signed on with. He is currently contracted to Leicester City where he became the first goal keeper in the history of the league to win back to back titles with separate clubs. Schwarzer is also the oldest player to win an EPL title in soccer. Schwarzer is considered a SOCCEROOS icon worldwide and in his home country Australia. On the soccer field he is known for his composed and calm intensity and strong focus. He is regarded by many as one of the best goalkeepers today. Mark Schwarzer was born in 1972 in Sydney, Australia to German parents who had immigrated to Australia a few years before his birth. Schwarzer grew up speaking German in the household and is extremely proud of his roots. He started playing soccer during his high school years and joined a local soccer club called the Colo Cougars. It would be a few years before Schwarzer started his professional years as a soccer player starting off with the Marconi Stallions and then left Australia to play for two German clubs. After two years of playing professional soccer in Germany Schwarzer moved to England to play for Bradford City and then a year later for the club Middlesbrough. Schwarzer’s name is synonymous with calmness especially during dealing with strikers bearing down and one of his strengths is his great reflexes. He is well known for never looking frazzled during matches which has only gone on from strength to strength – most managers of his clubs often talk about the calming effect Schwarzer has on his fellow team mates. After Middlesbrough Schwarzer joined Fulham where his achievements earned him the Fulham Player of the Year Award the year he joined them. This was followed by a move to Chelsea in 2013 and his eventual move which has lasted until now. 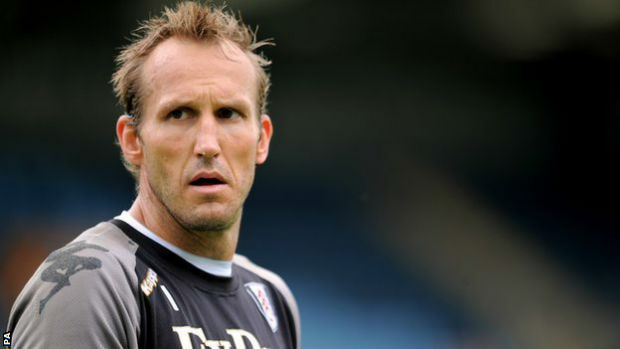 Schwarzer has represented his native Australia internationally from 1993 to 2013 and took part in the 2010 and 2006 World Cups. As a youngster he also played for Australia at the under -17 and under-20 level. During the course of his international career playing for Australia he won a total of 109 caps and has become Australia’s most capped player. In 2009 Schwarzer was awarded with the Medal of the Order of Australia by the Queen. He has been named as the Premier League Player of the Month in 2010 and has been named as Australian Footballer of the Year for two straight years in 2009 and 2010. He has won the European Championships twice for Chelsea FC and Leicester City, the English League twice for Chelsea and Middlesbrough and the German Cup once in 1995/96.